Arne Weinberg aka Onmutu Mechanicks presents his first 12” on Echocord. 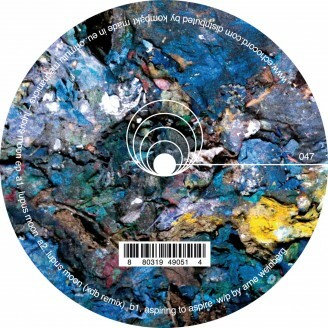 He already released 2 12” on the sublabel Echocord Colour. Being known for producing deep melodic techno, Arne's alias Onmutu Mechanicks serves as a project for all things abstract and dub-influenced. Lupus Moon Ep combines dubtechno and the deep melodic techno that Arne is known for. The tracks Lupus Moon and Aspiring To Aspire is taken from his album Nocturne which was released earlier this year. Both tracks are powerfull Techno tracks with a dubby feeling for the dancefloor. This ep also contains a remix by XDB, known from the Metrolux label.